Action on five projects was recently approved by the board. WILMINGTON — Infrastructure projects at the Wilmington Air Park are the focus of the Clinton County Port Authority (CCPA) Board of Directors. Action on five projects was authorized last week by the board of directors. 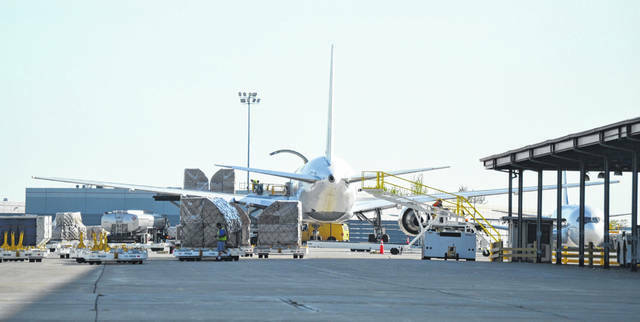 Combined, these projects will result in an investment of approximately $3 million in aviation-related infrastructure improvements, according to a news release from the Port Authority. The first two projects presented for consideration were the result of a grant awarded last fall by the State of Ohio, Division of Aviation Grant program. The CCPA had submitted a total of seven projects for consideration for the FY2019 Grant cycle and was notified that two of those projects would receive ODOT grant funding. Michael Baker, International (MBI), the Port Authority’s engineering firm, worked with staff from the Port Authority and LGSTX Services, Inc. to develop project specifications and manage the bidding process for each project. Additionally, ODOT Aviation recently notified the CCPA that it could access additional funds from the FY2019 program year to fund additional projects the Port Authority had submitted for consideration, if the proper process could be completed in time, and if the Port Authority could still match the funds, as it proposed with the application. 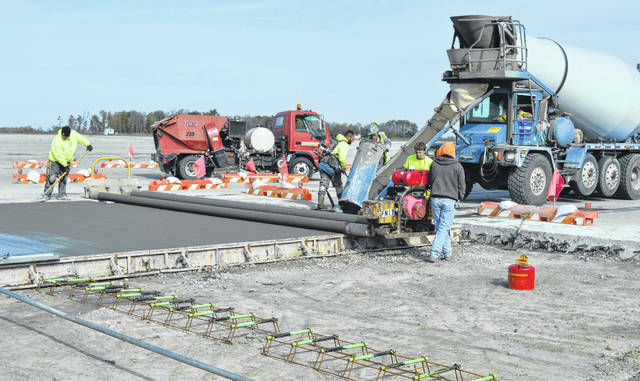 The targeted projects for the additional ODOT funds continue the investment in concrete work on the taxiway and ramp areas adjacent to the runway at the Wilmington Air Park. The CCPA has committed to provide matching funds equivalent to 21 percent of the total project cost for each of these ODOT-grant funded infrastructure improvements. Concurrently, MBI has been working with the CCPA and LGSTX Services, Inc. for some time to prioritize, program, and prepare bid specifications for work anticipated to be completed with funds from the State of Ohio Capital Budget. Leveraging investment from a separate pool of funds, the air park secured $3 million in infrastructure and navigation aid replacement project funding. A portion of these grant funds have been utilized to purchase a Runway Visual Range (RVR) system, to replace an aging existing RVR system. It is anticipated that all of these coordinated infrastructure projects will be completed this spring. “We will continue to need to repair and replace the aging infrastructure at the Wilmington Air Park,” said Port Authority Board Chairmen Walt Rowsey. “There is a lot of pavement here, and the support of our state and local officials, with grant funds, is absolutely essential to allow us to maintain and upgrade the airport as a viable economic development and aviation asset. The next meeting of the Clinton County Port Authority is scheduled for 9 a.m. Thursday, April 11 at the Wilmington Air Park. The Clinton County Port Authority is a special-purpose government formed to operate transportation infrastructure and lead economic development efforts. It owns and operates the Wilmington Air Park, an integrated aviation and logistics business park located on 1,900 acres with nearly three million square feet of industrial, office and hangar space.